To transform SMEs into an economic powerhouse of the country by the year 2020. To instil and eventually ingrain deeply the concept of "Learning organization" as a culture of SMEs and be export-orientated. 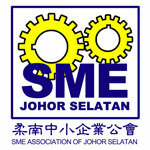 To help promote and develop SMEs in South Johor. 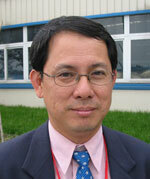 To organize SMEs into a more cohesive group with a greater voice. To improve the efficiency, effectiveness, productivity and performance of SMEs through a series of well planned resource development programmers and road shows. To use Association as an effective channel to reflect and articulate the problems and needs of SMEs. The collective strengths of many small and diverse organizations are much more formidable and would therefore command greater attentions of its views and demands. To benefit from the regular workshops and training that help to develop the human resources and to create awareness on opportunities for productivity improvements and market developments. These programmers can be more cost effective when undertaken by a non-profit oriented Association. To enjoy or participate in networking of member that can generate vital business ideas and contracts. To be enlightened though constant dissemination of information on government incentives so that members can expeditiously reap the benefits of incentives provided by the Government.